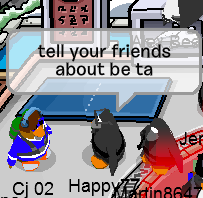 Club Penguin Cheats by Mimo777 Club Penguin Cheats by Mimo777: Happy77 Talks About Beta and Ninjas EXCLUSIVE! Dood! Check it out! 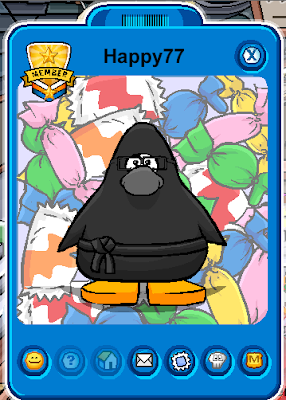 My Super Secret friend was on Club Penguin the other day and bumped into the one and only Happy77! Cool huh? I can't wait for the sneak peeks, you? Have you ever found Happy77? Just lettin' ya know. That was well over a month ago, not recently.. Cool! And wow! I came on 3 minutes after you posted this! I wish that she would come on cp more so that people can meet her! i have never met her before but it would be awsome!!! if i did!!!!!! I LOVE YOU HAPPY77!!!! 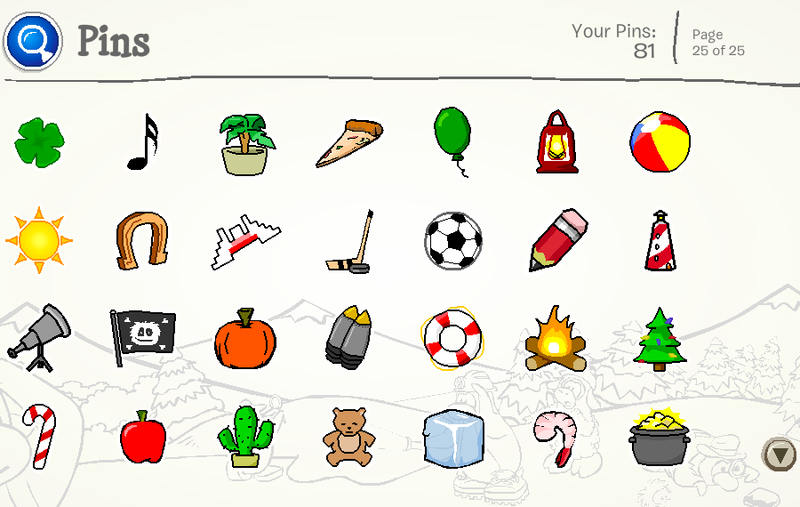 81 Pins? I have more then that! I can wait for shadow ninja but puffle hats? YEAH PUFFLE HATS!!! I meet her at the Herbert atack at the EPF. it was cool!! !